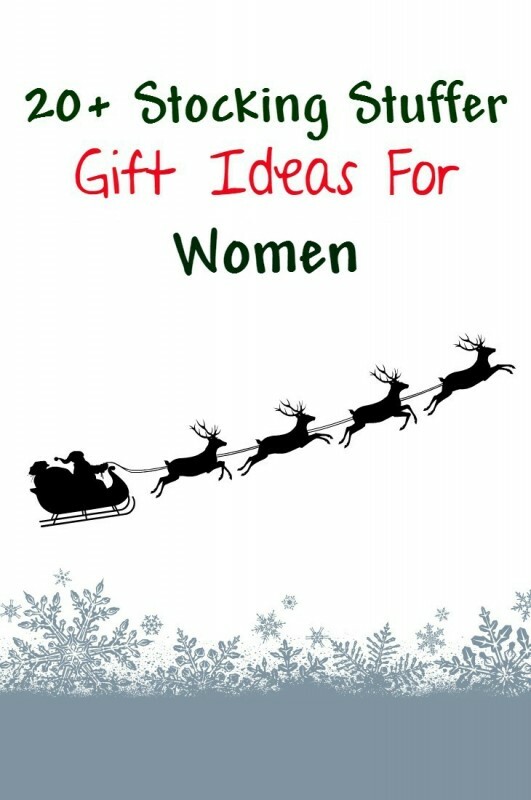 Some brands provided product in exchange for inclusion in this gift guide. All opinions belong to Emily Reviews. There are affiliate links in this blog post. Tin Cups is an etsy shop that makes all natural bath and body products. Their trio of holiday lip balms make a perfect fit for women’s stocking stuffers. The trio includes one sugar cookie, one hot cocoa and one candy cane lip balm. 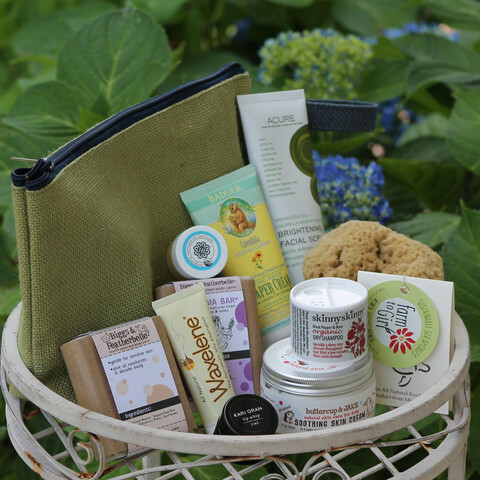 They’re made with just all natural, hand-poured essential oils, beeswax, almond oil and honey! Learn more: Tin Cups Bath & Body review. Buy it: Shop TinCups on Etsy. 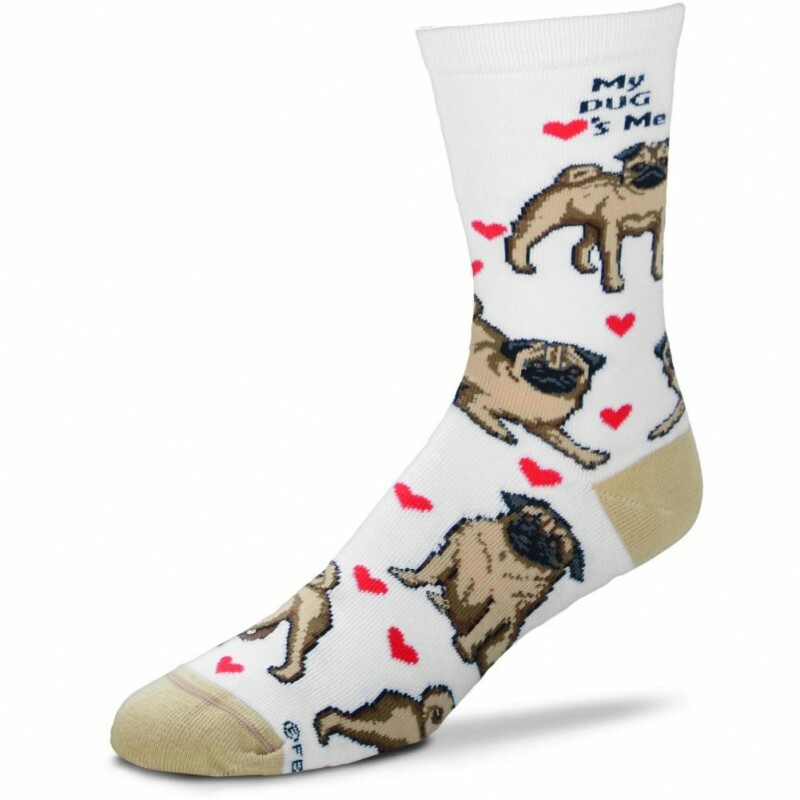 These adorable and silly pug socks from Calendars.com make an awesome stocking stuffer for anyone who has a pug or who loves pugs. They have several other breeds available as well, so you can find the breed that best suits the woman in your life. I have a pair that I’ve worn a few times and I always get comments and laughs on them. They are nice and thick which makes them great for staying warm in the winter. Spring feels a really long way off during Christmas. 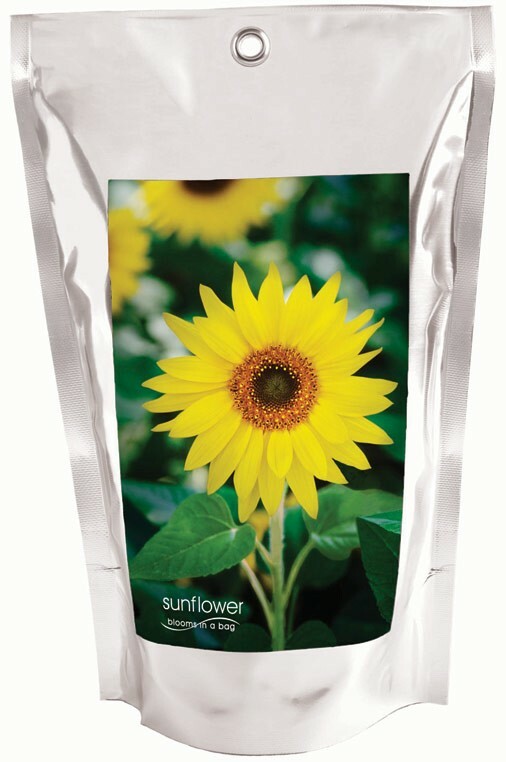 If a woman in your life likes flowers or gardening, a Bloom In A Bag Mini Sunflower Garden Kit can make the perfect gift. This lets you grow mini sunflowers right on your windowsill, so no need to wait until the last freeze of winter has passed. This would also be a fun stocking stuffer for people who aren’t big fans of cold/winter and who look forward to early signs of spring like flowers. Writing in a journal everyday can help you better process your thoughts and see all the blessing in life. The Five Minute Journal has weekly challenges, daily assessments and motivational quotes. Each day brings new support, positivity and encouragement. 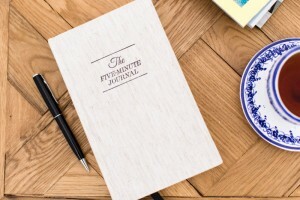 The Five Minute Journal is a thoughtful gift for both men and women. Mary McNear is New York Times and USA Today bestselling author of the Butternut Lake series. 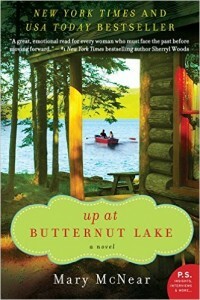 In the first book, Up at Butternut Lake, we are introduced to Allie Beckett and her son Wyatt. Allie is returning to Butternut Lake after being away for 10 years. She and her son are looking for a fresh start. Readers follow along as Allie and Wyatt get settled and put the past behind them as best as possible. They form new relationships and learn to move forward in life. Coloring has become a popular past-time activity for women. Many say that coloring the intricate patterns is a fun way to relax. Sterling Publishing has an adult coloring books by author Millie Marotta. 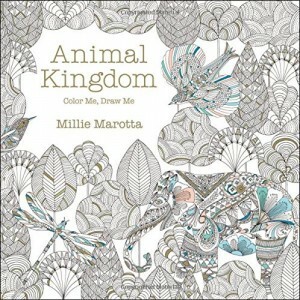 Millie’s Animal Kingdom book is full of beautiful animals and whimsical backgrounds. Millie’s adult coloring books are fun stocking stuffers. Love to prepare healthy gluten-free meals for your family? Chef Amy Fothergill has over 25 years of cooking experience. 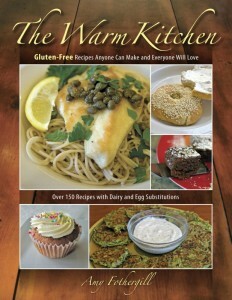 Her new cookbook, titled The Warm Kitchen is perfect for the gluten-free foodie. The Warm Kitchen cookbook includes: techniques and tips, easy to follow step-by-step instructions, family friendly dishes and beautiful photos with each recipe. 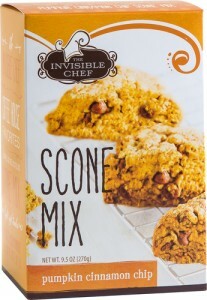 Stuff her stocking with a Pumpkin Cinnamon Chip Scone Mix from The Invisible Chef. The Pumpkin Cinnamon Chip Scone Mix is super easy to prepare. When you mix your ingredients, be creative and add in your favorite chopped nuts. Or drizzle a vanilla icing glaze on top of baked scones. In a matter of minutes, you will have a delicious treat. Learn more about The Invisible Chef in my review and enter to win a baking prize pack. Gift her a Gold tone multi-strand tassel necklace in her Christmas stocking. This necklace is cute and classy! The Gold tone multi-strand tassel necklace is approximately 25 inches in length. It is a versatile piece that can be dressed up or down. 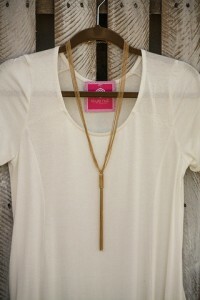 The Gold tone multi-strand tassel necklace is currently available at Style Nut Boutique. Learn more in my Style Nut Boutique review. 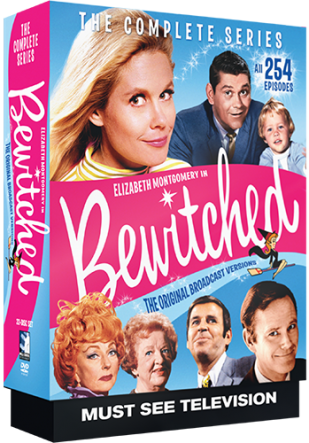 For some good old fashioned entertainment, consider Mill Creek Entertainment‘s Bewitched The Complete Series. Filled with all 254 episodes, this must see television series can now be viewed in the comfort of your own home! Give the gift of TV’s endearing enchantress Samantha and her family this Christmas. Loveable, laughable, family friendly entertainment at its best! Spread the love and joy with some delicious chocolate bars from Chuao Chocolatier! Available in a variety of mouth-watering flavors, consider their Peace, Love, & Peppermint Bar, Cinnamon Cereal Smooch Bar, or Hope, Joy, & Gingerbread. Perfect for a Christmas morning treat as well as to enjoy throughout the holiday celebrations. For the women who love to travel, consider giving her a copy of Exclusive Luxury Experiences The Ultimate Travel Journal. Truly an amazing blueprint for travel, this journal offers step-by-step help from the planning stages to the days after returning home. Check lists, places to write thoughts, helpful hints and more will help make the trip more meaningful and fun. Learn More: Head over to my Exclusive Luxury Experiences Feature to learn more. Slip the Cookina Oven Guard in the stocking of those who love to bake this Christmas! 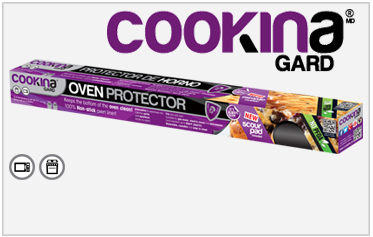 No more worries about spills and leaks onto the bottom of the oven as the Cookina Gard is a 100% non-stick oven liner. It catches spills and splatters and fits in any size oven or microwave. Wash clean and reuse time and time again while the bottom of your oven stays spotless! Treat some feet right with AirPlus Footwear Care products. 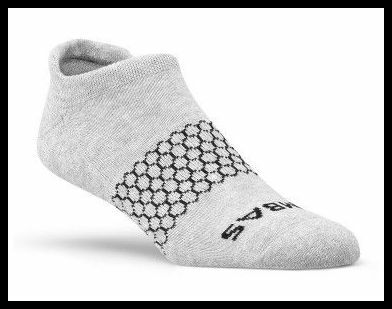 Their Aloe Infused Spa Socks offer ultra-moisturizing care for tired and dry feet. Also available are an array of other footwear products such as their Hug My Heels back of the heel protection and a variety of insoles to aid in comfortable wear and foot protection. 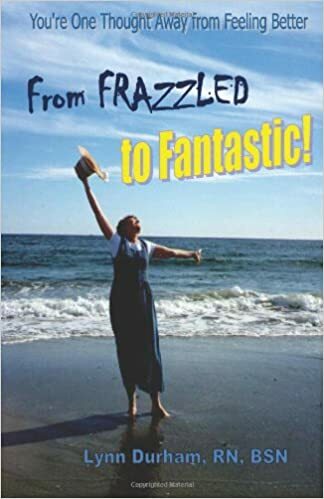 Give the uplifting book this year “From Frazzled to Fantastic! You’re One Thought Away From Feeling Better” by Lynn Durham. Did you know that 5 minutes of remembered anger can depress your immune function for up to 6 hours? Start thinking positively and transform your world to one filled with joy and laughter! Pick up some Odd Sox for a unique and fun stocking stuffer this year. 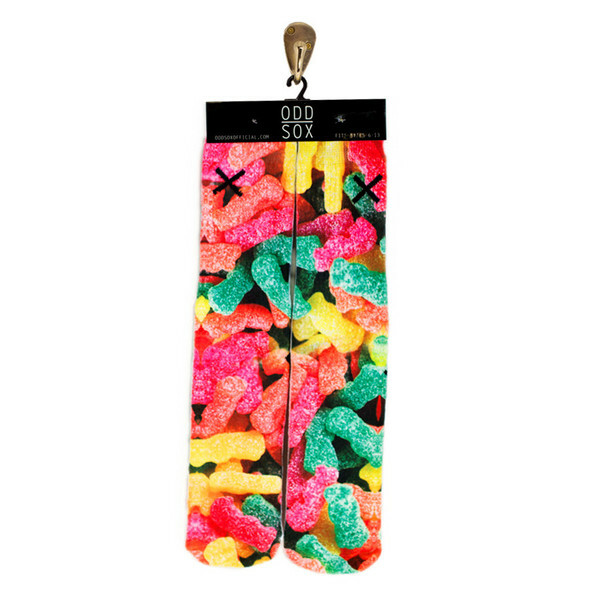 Available in innovative fun styles, these Sour Gummis are sure to be a big hit. Bright and colorful, these socks are high quality, ultra comfortable, and unique. Give the age old gift of socks with a fun new twist by adding a pair of Odd Sox to the mix. Giving the gift of socks is an age-old tradition so giving the gift of Bombas Socks helps carry this on while also giving to others! For every pair of socks purchased, Bombas donates a pair too. Built with athletic purpose and high quality in mind, Bombas also allows you to slip into extreme comfort and pamper your feet. Available in a variety of colors and sizes for men, women, and kids, fill a stocking with Bomas this Christmas. 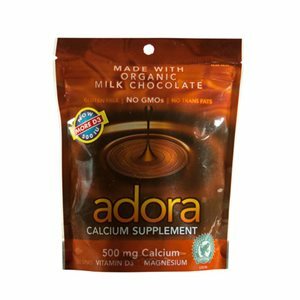 Taking supplements has never tasted so good as with Adora Calcium Supplement Chocolate Discs! Made from delicious organic chocolate, these decadent circles deliver 500mg Calcium as well as vitamin D3 for advanced absorption making these taste more like a treat than supplement! They are melt-in-your mouth delicious and available in both Dark Chocolate or Milk Chocolate flavors. 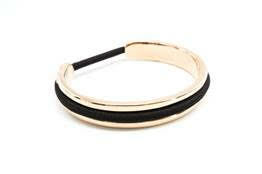 The BitterSweet Bracelet is the gift that solves an every day problem while keeping fashion at the forefront. No longer do women need to keep that spare pony on their wrist as an eye sore, the BitterSweet Bracelet is a chic piece of jewelry that stores the hair band in a stylish way! Ready at a moments notice or a fashionable accessory when not needed, the BitterSweet Bracelet is perfect for the Christmas Stockings of the women in your life this year! Need to find only the best and safest products for the people on your list? The Choosy Chick makes that simple and easy with a huge selection of amazing eco-friendly and safe products to choose from. Buy for your mom, your kids and even your husbands all with peace of mind that they are using only the best ingredients! Add some flavor to the Christmas Stockings this year with Ice Chips Candy. These fun candy crystal pieces pack a punch of flavor while actually being good for your teeth! Made from xylitol, even diabetics can enjoy. 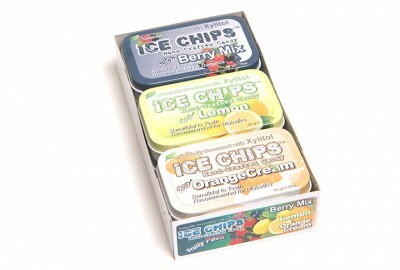 This Ice Chips Fruity Pack comes packed with: Lemon, Orange Cream, and Berry Mix flavors that are sure to be a delight. Learn More: Head over to my Ice Chips Candy Review to learn more. Luca + Danni offers handcrafted, American made, necklaces and bangle bracelets. Luca + Danni was created to inspired others through the journey of life. The Hudson Champagne Bangle has a Swarovski baguette champagne bauble crystal. You can choose between oxidized brass or silver plated wire wrapped bangle. It is available in regular and small size. The Hudson Champagne Bangle has hook and catch closure. Amopé specializes in foot care products. They recently debuted the Pedi Perfect Extra Coarse Electronic Foot File with Diamond Crystals. Amopé Pedi Perfect roller gently scuffs off tough dead skin leaving your feet soft and beautiful. For best results, use your Amopé Pedi Perfect roller with Amopé Pedi Perfect Daily Moisturizer. An Amopé Pedi Perfect roller is a great addition to her Christmas stocking! Foster Grant specializes in fashionable eye wear. The Iman women’s sunglasses combine fashion with function. 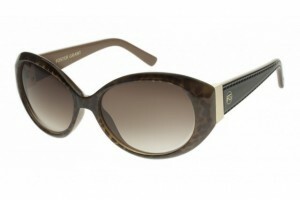 The frames are embellished with tortoise pattern and gold vertical temple treatments. The lenses provide 100% UVA and UVB protection. The Iman sunglasses are the perfect addition to her stocking stuffer. 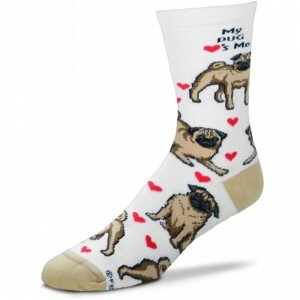 Those Pugs socks from Calender.com are so adorable. I have three dogs and one of them is a pug. He is a funny little guy who is the boss of the house. Wow, I loved seeing all these great ideas! Wow! This is a really, really great and varied list! 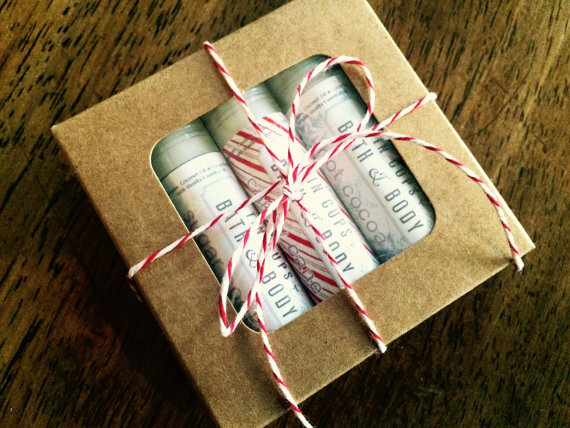 I’m especially loving the hand-crafted lip balms from Tin Cup, Bloom In A Bag (so much fun this time of year!!!) and that BitterSweet bracelet is ingenious! Adding chocolate made this my perfect stocking! This is a great list! Lots of things I would love to give and receive. These are all fantastic ideas! Sometimes I have a hard time coming up with ideas for my husband. Could you do one for men? Glad you like our ideas Christina. Sure, here is our 20+ Stocking Stuffer Ideas For Men. I love the idea of a flower growing kit as a stocking stuffer, I am not a fan of the dead of winter myself. Thank you for this list, there a re a lot of really good ideas here. I had no idea the Calendars.com have animal socks. I have been looking for unusual socks for my sister and now I have found a source. Thanks. Oh my! I would love any one (or all!) of these in my stocking! Well done!! 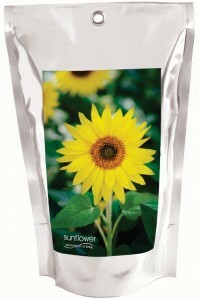 I love the Bloom in a Bag Mini Sunflower and the Adult Colorbook. Thanks for the ideas! I’m filling my own stocking this year so that I know that I will like everything. Hahaha. So this post comes in handy because I’ve never even thought about it. That BitterSweet Bracelet really makes me miss my long hair though. Genius! These are great ideas for my sister. She will love the socks and Scone Mix. I am looking for my daughter in law too. Thank you for all the suggestions. Most all of these would work for either gender I think. I won the exact same adult coloring book, Animal Kingdom, on another site, and I just love it. The sketches are beautiful and it would make a great gift book, along with some coloring utensils or art supplies.